Independent choreographer Samantha Chester’s new work Safety in Numbers premieres at Riverside Theatres, Parramatta next month. Safety in Numbers is inspired by true stories of disaster survivors and presents five people who find themselves trapped in the aftershock of an earthquake. 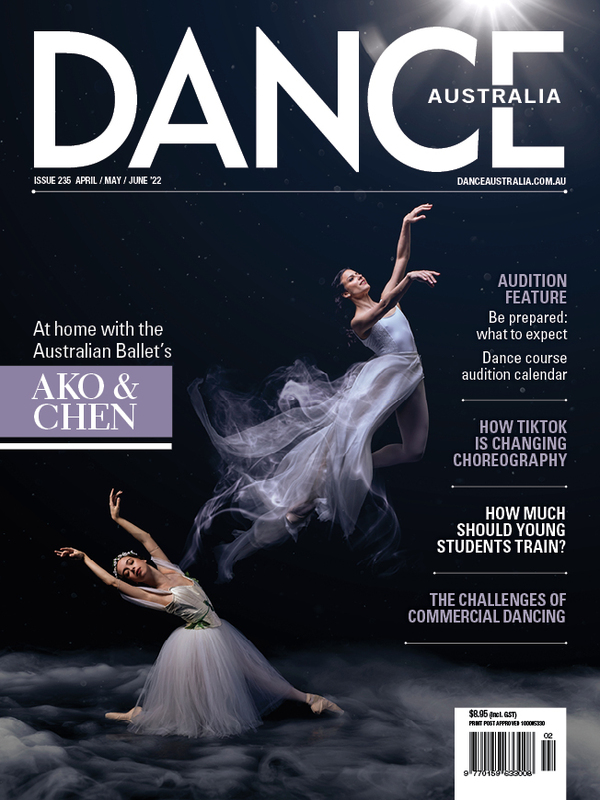 Dance Australia caught up with Samantha Chester to find out more. DA: Where did the idea for Safety in Numbers come from? SC: I took part in Force Majeure’s Cultivate program in 2011 which was a wonderful opportunity to work with Kate Champion. The initial inspiration for Safety in Numbers came from a poem called "Album" and from a documentary called the The Forgetting. The documentary talked about the fact that in a lifetime we can only actually recall in detail between 40 – 60 significant memories, which certainly doesn’t seem like much over an entire lifetime. So, my question was, what happens when these significant memories start to fracture; when one memory crosses into another; when memory starts to disconnect and things start to be only half there, in a certain light, slightly out of focus? I started with this and over time it evolved into an investigation of the idea of fracture and then the idea of earthquakes. In developing the work we created material by playing with fault lines and with shaking, tipping and being off balance as physical qualities. We looked at natural disasters as a way to get into memory - holding on/letting go and the idea of things not being built to last - as well as investigating true stories of survivors as a way into this world. It was 2011 and the earthquakes in Japan and New Zealand, then the unrest and revolution happening in the world made our questions all the more relevant. So the work is a response to all that. I also wanted to look at our inner shaking and that at some stage in our lives we are all standing in the rubble (metaphorically) - whether it be through grief, loss or simply trying to deal with this enormous life. For the presentation at Riverside we have put a microscope on this idea. We see five people trapped in the aftershock of an earthquake both real and metaphoric. We see them unravel, be put back together and let go. The world is very Beckett - it’s a landscape of emotion - sparse, absurd at times and filled with yearning. I love this quote which sums it up for me, "It was if there had been an avalanche in my head, I'd been knocked entirely off course and had come to in an unfamiliar, empty landscape surrounded by the debris of my life." DA: Tell us about Force Majeure’s Cultivate/Culminate program – what is it? SC: Culminate/Cultivate is a professional development program for emerging director/choreographers and performers working in dance theatre. The aim of the program is to support the selected directors and performers to work on a burning idea with the assistance and mentoring of artistic director Kate Champion. I was so excited to be part of its inaugural two years in 2011 and 2012. Cultivate and Culminate is a very special program. Dance and Dance theatre makers have few opportunities to try ideas in an environment that is truly supported. When I say ‘supported’ I mean that there is genuine interest in risk, process and cultivating artistry as well providing resources. Kate Champion really understands this and Force Majeure got the balance just right. The program also offered a place where a new community of artists could collaborate and share knowledge. I think this is important as the way new work is made today is not necessarily that the director or choreographer stands out the front controlling the room, but that the process is about a shared language. This means asking questions and being curious about what each artist can bring to the process in their uniqueness as makers. I think it is the director’s role to nurture and inspire story and that’s what Cultivate and Culminate does – it creates a platform to do this. DA: How did the Cultivate/Culminate program shape the type of work you chose to make? SC: Cultivate/Culminate was instrumental to me making this work, Safety in Numbers. It was where I met four of the five performers in the work and established a really strong relationship with them through the way the program creates a sense of community and an environment where things can happen. Being part of the program gave me confidence in my process and gave me time to digest the work as the program spans two years, which is very rare. Over the past few years Force Majeure has been very supportive of my practice and continues to be so - they are creating pathways for artists in so many ways they are incredible. DA: You were awarded a Churchill Fellowship in 2013 – what are your plans for that Fellowship? SC: I still can’t believe it even though I am leaving for Europe in four weeks. My fellowship is based on my theatre and movement practice. I work in theatre a lot as a movement director as well as with the dance sector so I am interested in looking at contemporary devised and task based methodologies for making new work, with a particular focus on the current conversation between dance and theatre. In brief; I will head to France first and the IETM (International Network for Contemporary Performing Arts) plenary in Montpellier with other Aussie artists. The IETM meetings are an incredible professional networking opportunity where hundreds of artists and arts workers meet to exchange information and discuss arts practice. From here I’ll go to Barcelona to meet up with the Ma Gomez Dance Company, visit Mercat de Les Flors and La Fura De Baus then I’m off to the UK for two weeks to look at current movement training for actors at EAST 15 and RADA. In the UK I’ll also visit Akram Khan’s producers, Dance4, Sadlers Wells and Stans Café. Finally, I’ll head to Brussels to do a workshop with Ultima Vez. It’s five totally packed weeks all up. I am excited, scared and amazed all at the same time. Safety in Numbers plays Riverside Theatres, Parramatta, 9-12 April. Bookings and more info here. For more info about Force Majeure’s Cultivate/Culminate program, click here.